In the past year, I've become a huge sneakerhead. I never thought I'd say that, because for what seemed like forever, I just wore the same pair of Converse over and over again, but these days I find myself planning my outfits around which pair of sneakers I want to wear and owning so many that they don't even fit in my closet. In fact, my obsession has gotten to the point where my friends joke about my life savings going into my sneaker collection instead of the bank. That's why I'm so happy that the sneaker trend is still going strong, and I honestly hope it never goes away. Besides being, in my opinion, the most comfortable type of shoes to wear daily, sneakers are also an easy way to add a touch of personality to your look. With so many different kinds on the market, there is a unique option to match any style. Whether you're pairing it with your go-to jeans or adding a casual edge to your favorite dress, there's an on-trend sneaker style for anyone. From the ever-popular dad sneakers to traditional low-tops, platforms, classics, and more, the list is actually endless. 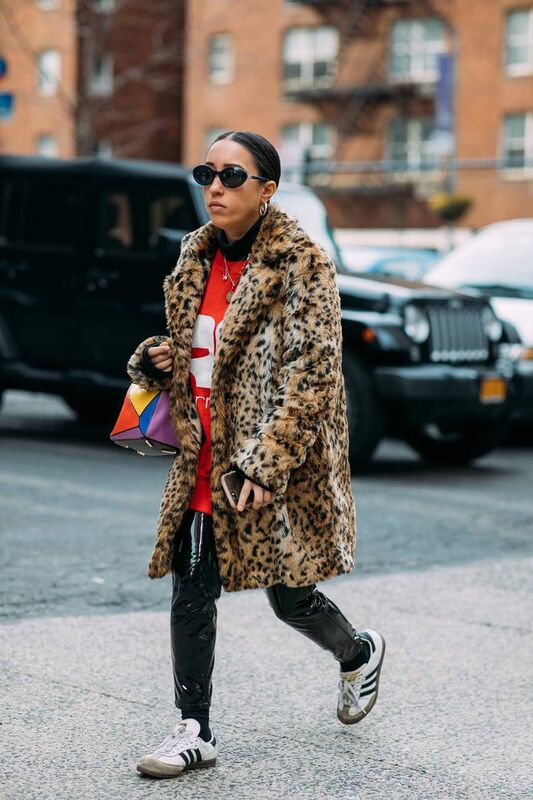 I rounded up my personal favorites in each category to help you branch out your own sneaker bubble because embracing this trend was seriously the best thing that's ever happened to my closet. Shop my picks below. It's time to pull the trigger on these Instagram-famous shoes. Wear these with your favorite slouchy socks for the ultimate dad look. Believe it or not, these colorful sneakers actually go with everything. These shoes mix so many current cool trends. PVC neon Dad sneakers? I couldn't have dreamed them up myself. Try the trend at an affordable price. I love the detail in the laces. These are 2018's shoes of the year, and for good reason. An amazing upgrade to the Adidas Superstar. I personally love this pair, but there are so many different Golden Goose styles to choose from. I know white sneakers are all the rage, but some good black sneakers are also an important wardrobe essential. Elementary school '90s vibes with this Velcro. The logo trend's going strong. The metallic finish on these makes them stand out from your regular go-to pair of white sneakers. Pink Common Projects? Uh, yes, please. You can't go wrong with Nike Air Force 1's. They're sleek, comfortable, and chic. I didn't realize Vans were making a huge comeback until everyone in our office started wearing them. Now I'm also on board. When you're 5'2" like I am, there's no harm in adding a few extra inches. The subtle platform on these gives you a little extra height without standing out too much. Low-top Chucks will never go out of style. As much as I love the classic red-and-blue color pairing on the original Cortez style, this subtle white-and-cream look gives the shoes a bit more versatility. High-tops, low-tops, you really just can't go wrong with Converse in general. These retro classics are back. Up next: the sweaters our editors are trying this winter.